Shin-Shank is prepared from either Forequarter/Hindquarter legs (extensor/ flexor group of muscles). 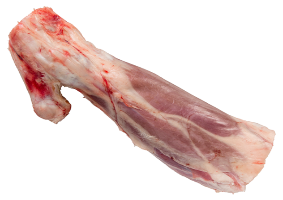 The fore leg is removed by a cut following the Brisket removal line from the Forequarter through the M. triceps and M. biceps brachii and distal end to the humerus to include the radius/ulna and associated muscles. 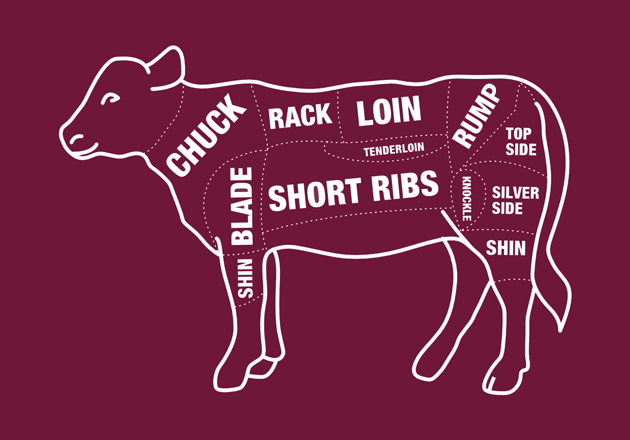 Shin bone-in is a cut prepared from the lower part of either the front or rear leg. 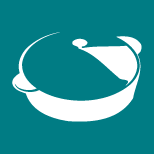 As a well-exercised muscle, it has little fat and plenty of connective tissue. 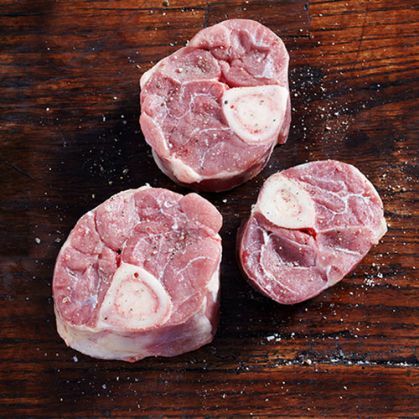 This cut is almost always cooked slowly in liquid to break down the tissue and draw flavour from the bone.